Olive experts estimate that between 50% and 80% of extra virgin olive oil in U.S. grocery markets is not really extra virgin. In fact, much of the olive oil sold to Americans isn't even produced from olives... and is purposely mislabelled. Further, the USDA is fully aware of this ongoing fraud, yet has failed for years to notify the public and has done precious little to deter the great olive oil hoax. 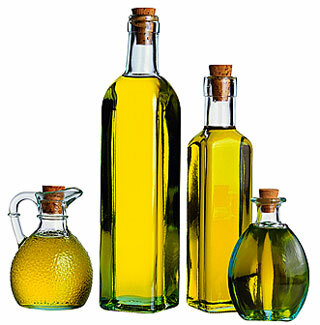 Chris Kimball, founder of America's Test Kitchens, recently commented on his weekly radio show, "EVOO clearly doesn't mean anything since most EVOO in American markets are not extra virgin...." He added that buying olive oil in grocery stores is "a complete crapshoot." Here's the deal in a nutshell: the U.S. retail market for olive oil is largely unregulated, thereby allowing European olive growers to freely dump their crummiest-quality crops in the U.S., usually in fancy, high-priced bottles with impressive labels to attract naive buyers. In contrast, olive oil sold in most European countries must meet standards set by the International Olive Council, or risk heavy fines and removal from shelves. And worse, shamed olive oils risk being ostracized by informed, offended European consumers. Not so in the U.S., where standards are minimal, enforcement is non-existent, and consumers are willing to pay huge prices for what they mistakenly assume is a high-quality product. Per Dan Flynn, Director of the UC Davis Olive Center, imported olive oils are often diluted "with other, cheaper-to-produce oils... No one is even checking to see if its made from olives." Tom Mueller, author of the 2007 New Yorker article Slippery Business - The Trade in Adulterated Olive Oil, reports that under the guise of olive oil, Italian purveyors were caught "selling Turkish hazelnut oil and Argentinian sunflower oil." Wrote the New York Times about Muellers' 2011 book Extra Virginity: The Sublime and Scandalous World of Olive Oil, "The news Mr. Mueller brings about extra virgin olive oil is alarming. The liquid that gets passed off as such in supermarkets and restaurants is often anything but. Shady dealers along the supply chain frequently adulterate olive oil with low-grade vegetable oils and add artificial coloring." Per Mr. Kimball, the price, packaging, country of origin or color and cloudiness of an olive oil in the U.S. grocery market has "little or no bearing on the quality" of that product. First, don't buy imported olive oils, as the U.S. government is simply not testing for what it regards as a low-priority problem. Second, become familiar with the USDA's first stab at voluntary olive oil requirements. Entitled United States Standards for Grades of Olive Oils, the newly-issued guide is voluntary and covers only oils produced and sold in the U.S. Although, according to Mr. Flynn, two panels in the U.S. periodically test a sampling of American olive oils, neither group has proven oversight or has been certified by the International Olive Council. Third, buy California olive oils when feasible, as the state is attempting to understand and control its burgeoning, artisan industry via the California State Senate Agriculture Committee's Subcommittee on Olive Oil Production. "California produces, by and large, true extra-virgin olive oil," commented olive oil consultant Alexandra Kicenik Devarenne on a recent America Test Kitchen broadcast. Ms. Devarenne added that the current California industry is not engaged in "the same race to the bottom to produce the cheapest EVOO." U.S. olive oil is produced mainly in California, with smaller volumes coming from Arizona and Texas. One more suggestion: complain to the USDA. Complain loudly and complain often. After all, America's great extra-virgin olive oil scam is fraud, plain and simple. And no one is protecting the American consumer, who is being duped and swindled while enrichening the gilded coffers of olive oil crooks. For more information, I recommend reading Extra Virginity: The Sublime and Scandalous World of Olive Oil by Tom Mueller, published in late 2011. Thank you for the article, Deborah--I love your call to complain to the authorities! The power of the American consumer is the sleeping tiger in this picture--on a global scale. If American consumers insist on authentic, good quality extra virgin olive oil, properly labeled, it'll be "game over" for the fraudsters. I would offer one comment, though: I would never say "Don't buy imported oil." It's true that in a random purchase, your chances of getting a real extra virgin are much higher with a California oil, but that doesn't mean that all imports are bad. In fact, there are fabulous oils made all over the world. • Vague origin - if the small print on the back of the bottle says "May contain olive oils from Spain, Italy, Greece, Tunisia and/or Turkey," walk away. That is an indicator of an oil that is sourced on the bulk market based on price, not quality. I always buy olive oils bottled by the producer, not an packer, whatever the country of origin. • Super low price - If it is too cheap, it is very unlikely you are getting a real extra virgin. Be prepared to pay more for good olive oil; it is impossible to make high quality extra virgin olive oil that retails for $10/liter! I have some posted some information on olive oil tasting and recognizing good olive oil at http://www.calathena.com/olive-oil-appreciation/ for folks who want to go a little deeper into this topic. Alexandra, thank you for your illuminating comment, and for your good words! I know that readers appreciate your insight and the link about olive oil tasting and recognizing good olive oil! Thanks for sharing this eye-opening account on the state of the American olive oil industry. I wasn't aware this commodity is almost completely unregulated in the U.S. It alarms me to think that many of the olive oil products being purchased are not what the label claims they are. There needs to be better oversight on this multi-million dollar industry; consumers deserve better than what is currently happening! I KNEW it! I f&*%$#@ing KNEW it!! For years now I've seen old trusted brands become bland and flavorless and started turning them around to read the "vague origin" fine print. Nuts to them and like the European consumer, I am informed and offended. I buy nothing with this bs on it. Thanks for the article. I used to have faith in free markets, but scams/tricks like this have softened me to government regulations in quality and safety matters. I would like to know what I am buying, and I would like companies that trick consumers to be penalized. I, too, am not a huge proponent of our morass of government regulations. But in matters of food, apparently activist oversight is needed to ferret out the frauds, cheats, liars, and vendors of unsafe foods. In the course of researching this article, I, too, discovered that the "organic extra virgin olive oil" in our home was actually pressed from olives (hopefully!) from any of a half-dozen under-developed countries.. not Italy, as implied by the bottle. Your article is both interesting and informative. However, I have to disagree with the suggestion made to NOT buy imported olive oil. If a car is a Mercedes, that doesn't mean it's a good car. They do make an occasional lemon. That principle applies here as well. The fact that an olive is is from CA and certified doesn't necessarily mean it tastes good. Soil, water, and production control all come into play when it comes down to flavor. Despite what others may say, there are producers in Italy and France, like Giachi, DeCarlo and Castelas that export unadulterated, authentic extra virgin olive oil. They should not be categorized with the Fillipo Berio's of the EVOO world. They deserve better! 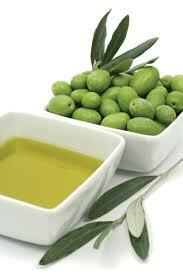 So a study by a major Californian university concludes olive oils produced in California are pure but imports are not. I take this with a big grain of salt. This is a great article for taste and there's a list on the bottom the best olive oil's in LA competition. Health is wealth!